Discussion in 'The First Year' started by nicolegalchutt, Apr 25, 2008. Wow, you all have beauties! I can't tell many of them apart either. My boys are ID (and almost 3!! 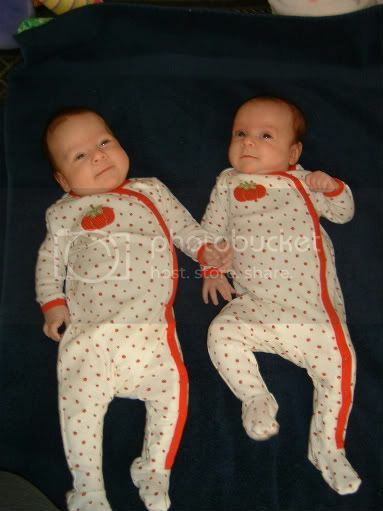 ), but yes, ID twins can look a little different depending on how they were lying in you and also weight/height. I know mine are ID cause of the TTTS, but I swear they look different. Jake is 7 lbs heavier and about an inch taller! So many of these frats look so much alike to me also! 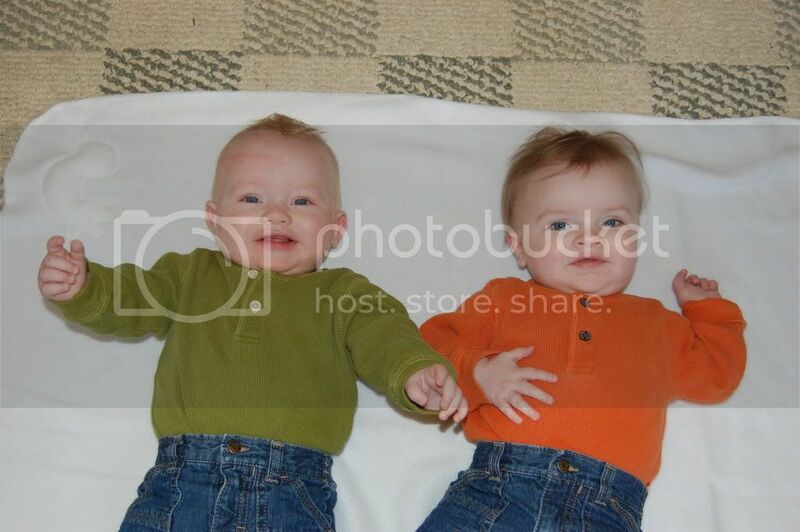 I KNOW my guys are frat, but I'm curious--do people think my boys look alike? 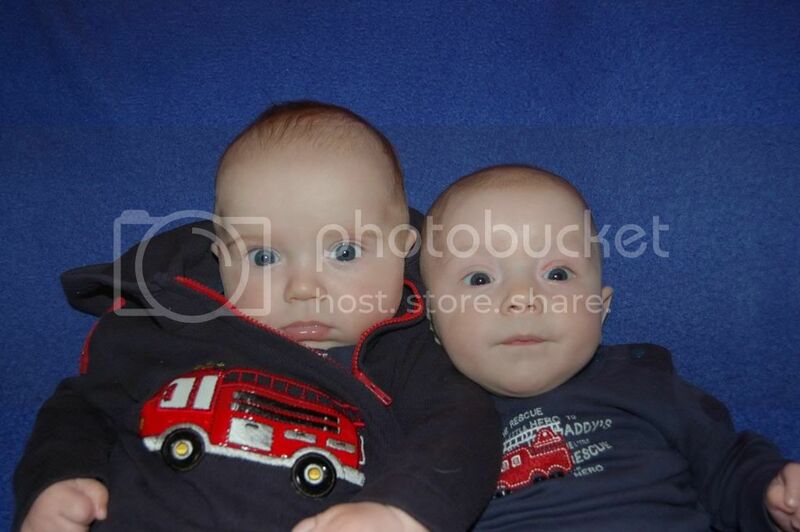 I don't think they even look like brothers!!! We are all so funny! I looked, like really looked at all your kids, and most of them yes I would agree are fraternal and I can see differences. 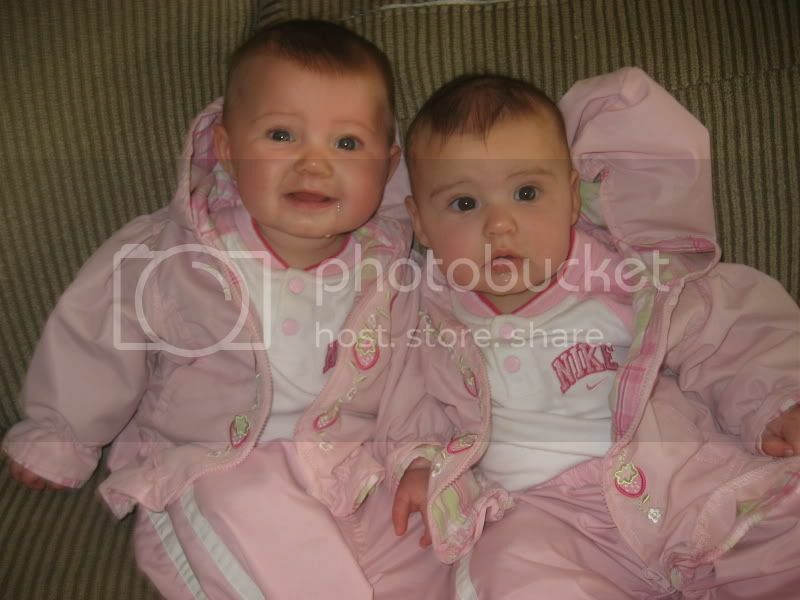 But we ALL said 'mine dont even look like brother/sister'!!!! We spend all day every day with them and see ALL their differences magnified plus we look for them because its human to 'compare' even though we're not supp'd to. :angry: You aren't reassuring me, woman!!!! Hi! 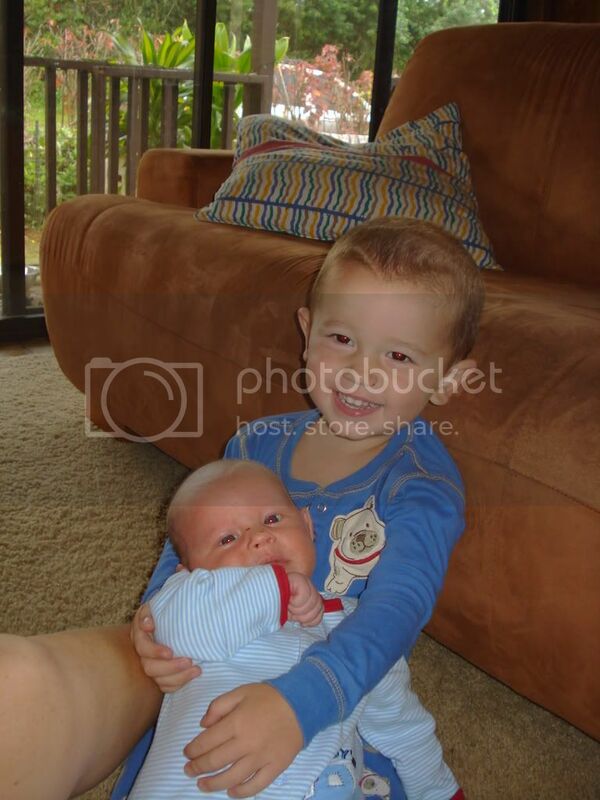 They look like brothers but sooo different.. 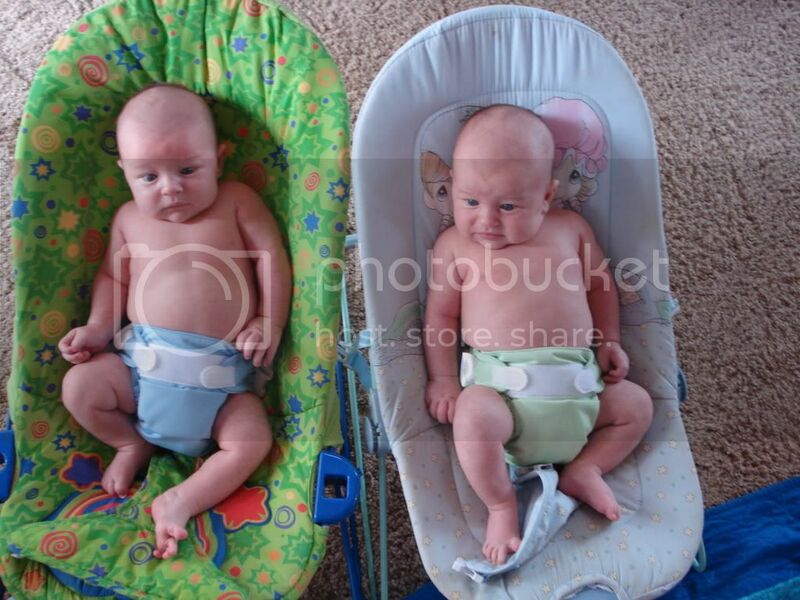 I would never mistake them for identical!! Cute cute and the diaper on the outside of the clothes is HILARIOUS!!!!!!!!!!!!!!!!!!!!!!!!!!!!!!!!!!!!!!!!!!!!!!!!!!!!!!!!!!!!!!!!!!!!! This is too cute! I'm more confused than ever now. Most of those frats look ID to me. I always think Outnumbered's girls are ID in pics, but when you see them in person, you can tell (plus they have diff. blood types). I'm wondering if our cameras are playing tricks! Thanks for posting all of your pics! :laughing: And I think mine are as different as night and day, even in pics! They do have different blood types, so aside from my possible bias, they are definitely frats! Amanda, you definitely have my vote for the most different looking frats! I love looking at all these great pics :wub: ! I don't get it. How can the DR tell by looking at the placenta if they are ID or not? Is it the DNA they examine in it? 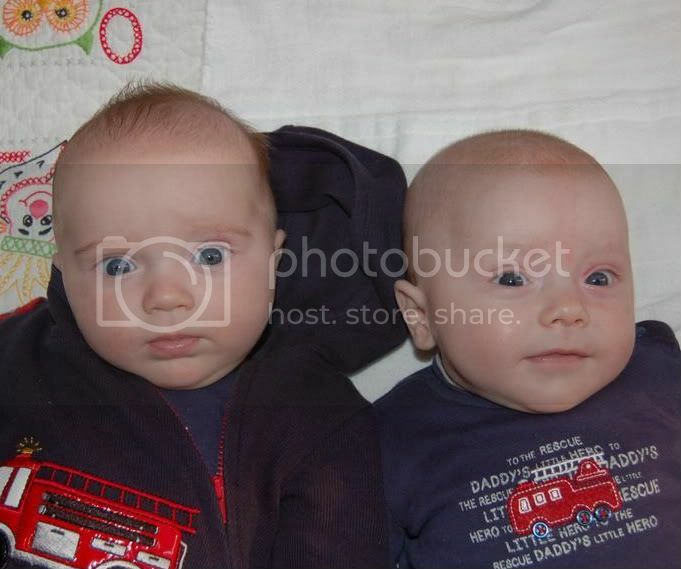 My boys definatley had two placentas but the Dr never said anything about examing it to tell if they are ID or not, he said you'd have to get DNA tested to know. hmmm, now I'm confused. No, she had the placentas sent off to be tested. 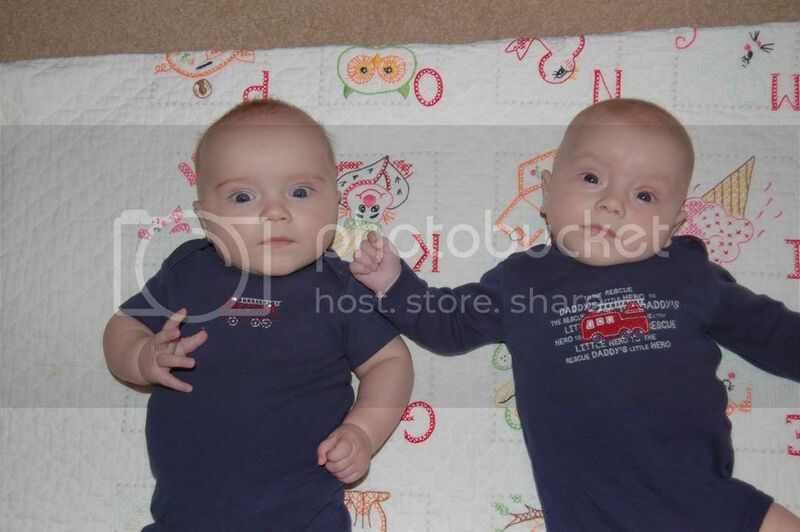 It is standard procedure at their office to test all twin placentas. 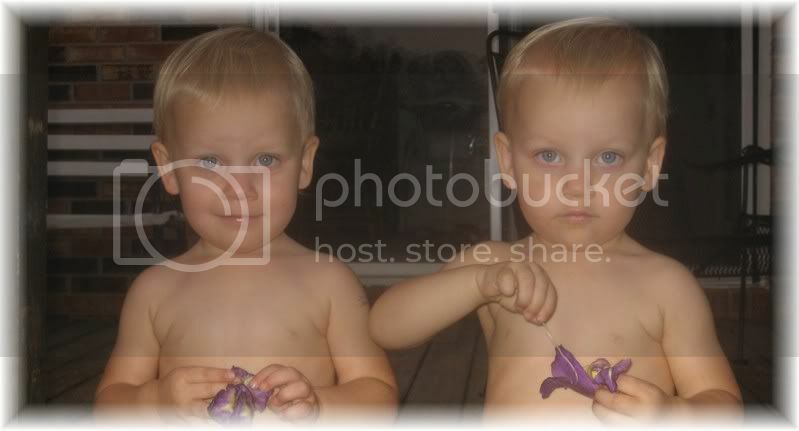 According to the DNA test, the boys are definitely fraternal, but they look identical. Sorry for the confusion. I meant she had the placentas tested, not that she examined them. I'm just going to toss this out there for your info and you can do with it what you like. 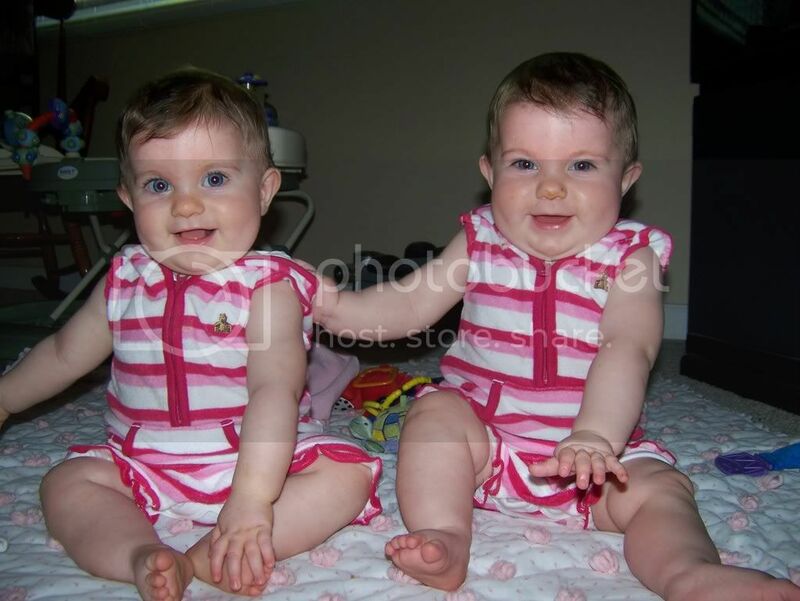 Twin placentas are normally sent in to a pathology lab for analysis. It's a physical exam where they look to see if there are membranes dividing the mass or whether it is one placenta. I would be VERY surprised if they also performed a DNA test. The part that gets confusing is the terminology on the pathology report. They use the term "fraternal placentas" to indicate the presence of dividing membranes. That isn't the same as fraternal zygosity, only di/di. Most strangers can't tell ours apart, but we definitely can. We were never given a definite answer as to whether they are ID or Frat, but we're pretty sure they're Frat (their heads are shaped different). 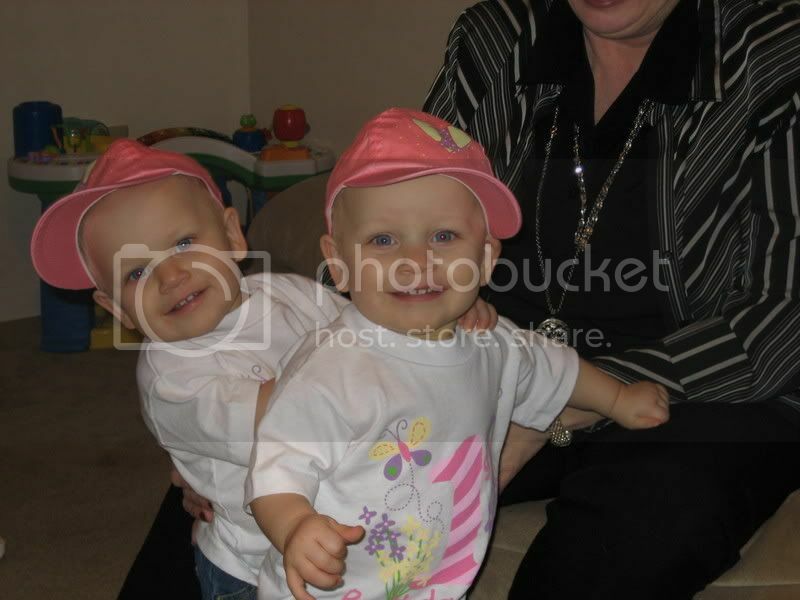 Anyway, I have a picture of them at one and the most recent picture I could find of them together. This has been so much fun! Opinions from others vary, from "they're identical, aren't they?" to "are they both yours?" LOL. As they get older they look more different, I guess, although they always looked very different to us. (<--reverse order in my profile pic). Here are a couple of my boys. One is recent and two from their first year. Many people will ask if they are ID (many people here on TS have told me they think they are). We see enough difference to be pretty sure they are fraternal. 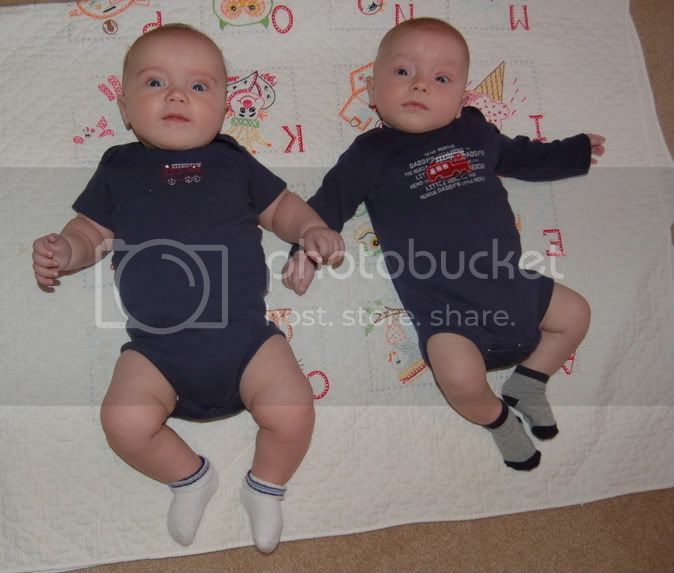 I don't think yours look alike, but I do think they look like brothers. Yours are ID! For sure!!!! Here are my frat girls. 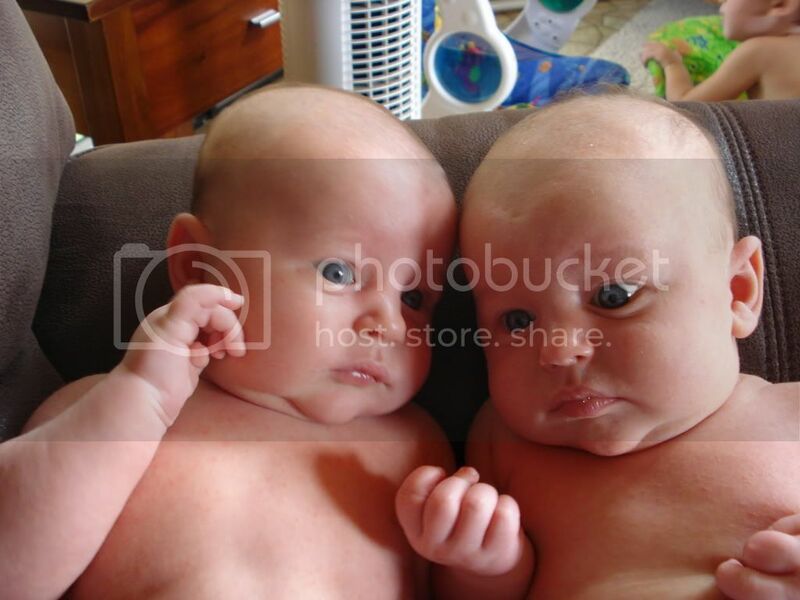 They looked a lot alike when they were first born, except one was a pound heavier and had chubbier cheeks. We sent out the test and of course as soon as we did they started looking more and more different. Strangers can tell them apart pretty easily (usually it starts with "This one (Avery) looks just like her mommy") whereas they used to ask us if they were ID. ETA Wrote "alike" instead of "different". Duh. 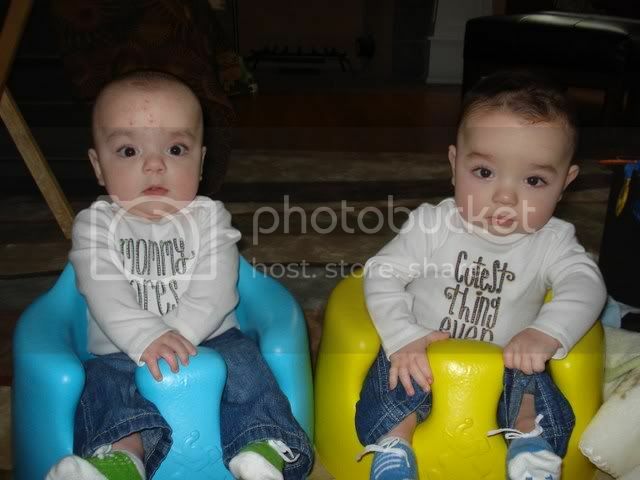 My boys are definetly frat.. One has light hair and the other has dark. I completely agree with this. They don't do a DNA test on placentas and they rarely even check for blood types unless asked. All they do is see if the placentas have a dividing membrane or not. 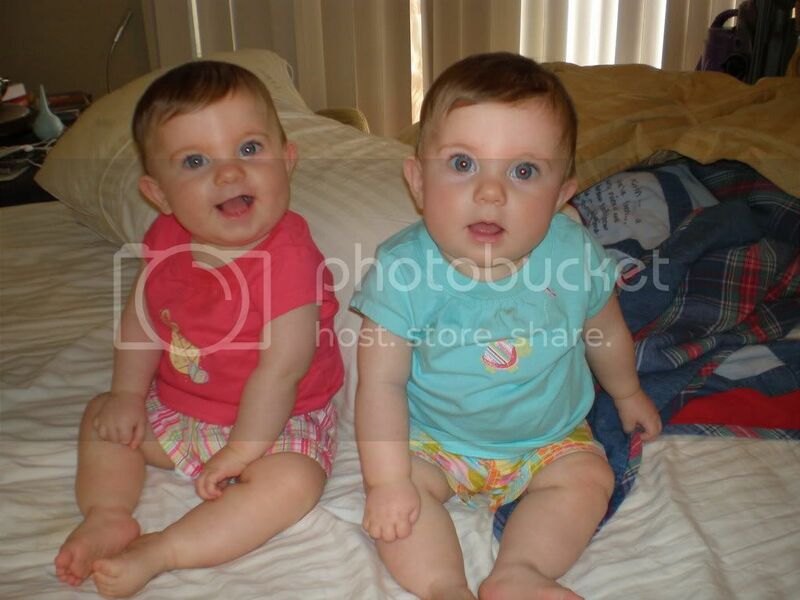 Many doctors think that all di/di twins are fraternal and that's just not the case. 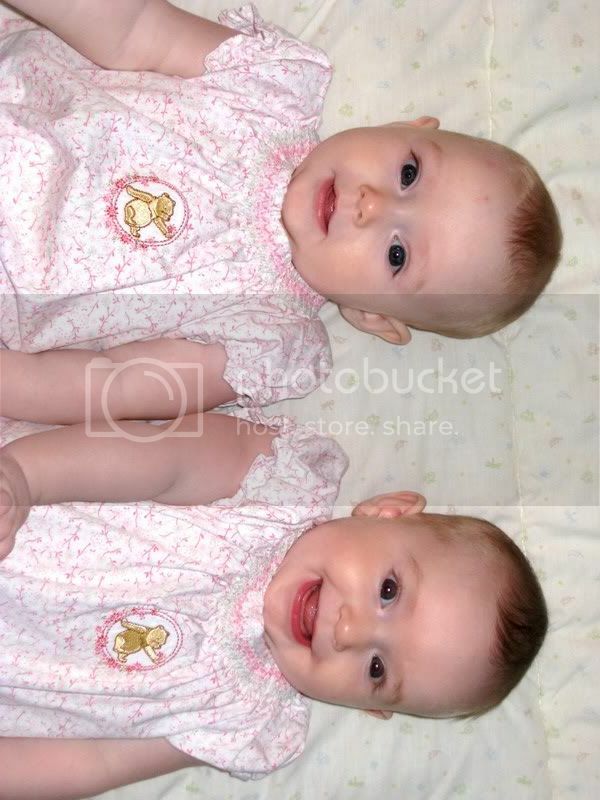 Different shaped heads can be caused by environmental factors (like womb position), that doesn't affect their DNA. I definitely think you should get them tested because I think they certainly look ID. I think you've got to get them tested because they sure look ID to me. Thanks for the comments on my darlings. All during the pregnancy we knew their were two placentas, however a definite membrane separating the sacs were never found. The did see a seam, but never could conclusively tell us that it was the membrane. After we had the babies, I asked my OB if she could tell based on the reports that came back and she couldn't. Anyway it's crazy how people at church still can't tell them apart after two years, their big brother still has problems as well. I love seeing all the pictures, too. 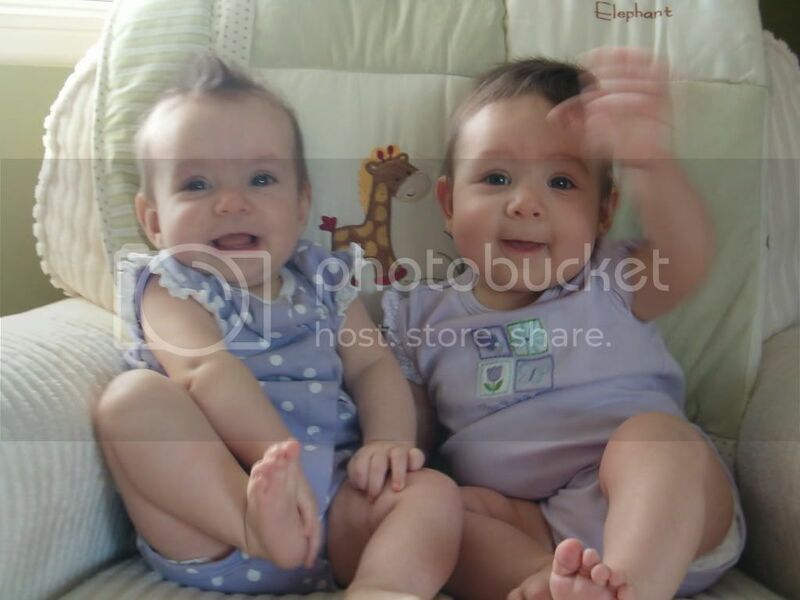 There are some gorgeous babies on this forum!! 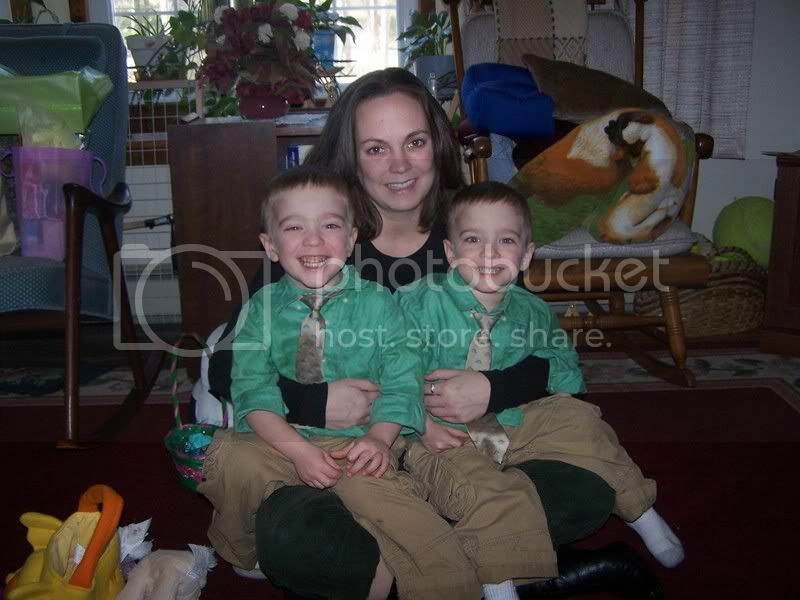 Those are some cute little boys and I think they look very ID. I love their hair! 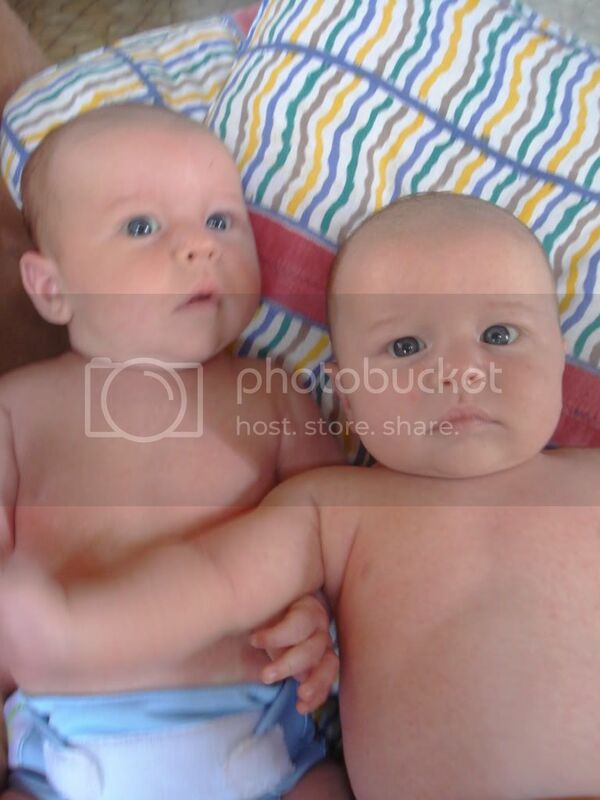 Yeah, My baby boy is light hair, blue eyes, light skin. Baby girl was born with a tan, almost black hair and brown eyes. They are both Cuban but only one looks it! 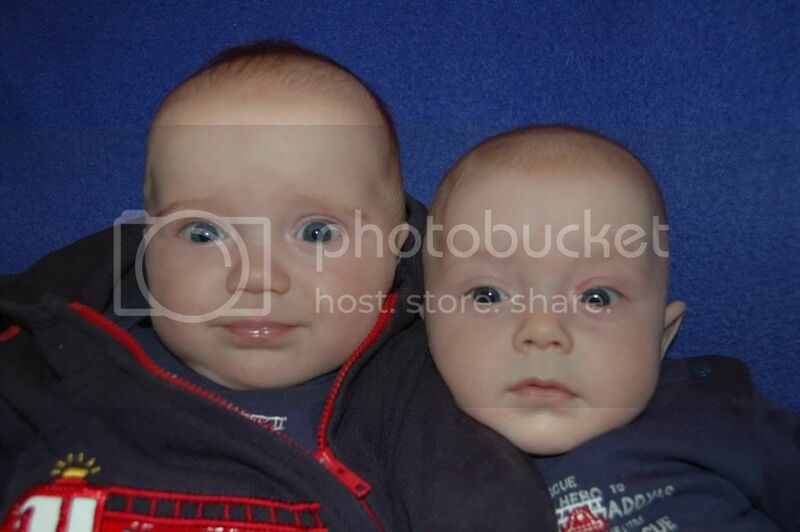 My boys look sooo different to me! But, once in a while, I will take a picture, and think, huh, I guess I can see why a stranger glancing at them (in their car seats) might not see all those differences! ...and then I think, well, they aren't THAT different! Here are my girls. 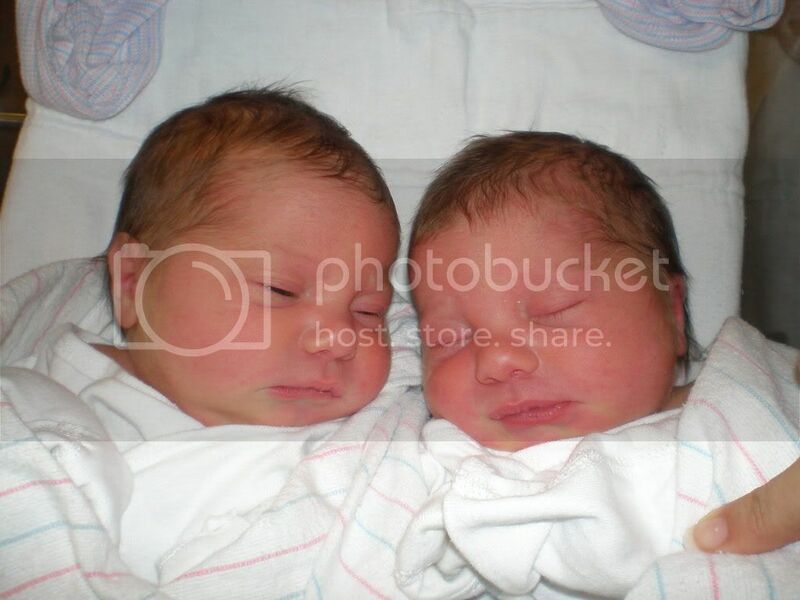 I think they look completely different but I still get asked if they are identical. I do think they look similar. You can tell that they are siblings. My frats and they look NOTHING alike...IMO! 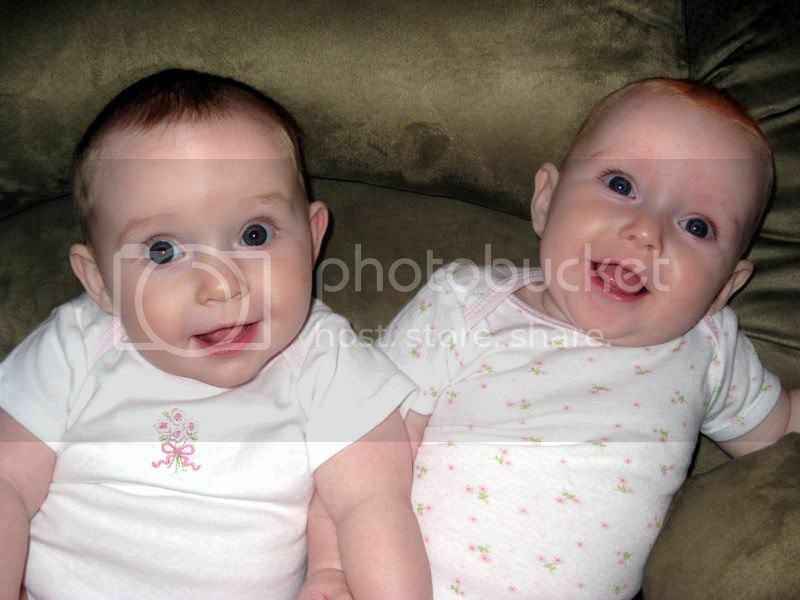 They look IDENTICAL to me! Mine are 100% without a doubt Frats. 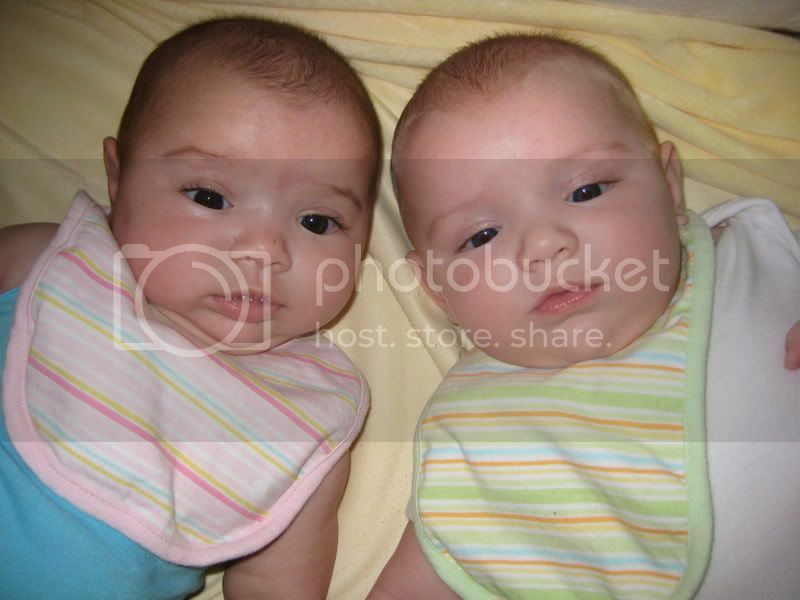 Our girls are fraternal twins too. They actually look like our 4 year old at different stages of her baby days.